Immigration Stories: 'The Death Of Josseline' Fourteen-year-old Josseline Quinteros died while trying to cross into the U.S. along the Mexico-Arizona border. Quinteros' is just one of the border crossing stories Margaret Regan tells in her book, The Death of Josseline. Fourteen-year-old Josseline Quinteros died while trying to cross into the U.S. along the Mexico-Arizona border. Quinteros' is just one of the border crossing stories Margaret Regan tells in her book, The Death of Josseline. Three weeks after she died in the Arizona desert, authorities identified the body of 14-year-old Josseline Quinteros by her bright green sneakers, Hollywood sweatpants and the small pearl bracelet around her wrist. Over the past 10 years, thousands of people have died on or near the border, but we almost always know them as statistics. In pieces for the Tucson Weekly, another publication's reporter, Margaret Regan, put faces and names and life stories to those numbers. She's now written a book. We want to hear your stories. If you live near the border, what do you see? How was it changed over the past 10 years? Our phone number is 800-989-8255. Email us: talk@npr.org. You can also join the conversation on our Web site, that's at npr.org, click on TALK OF THE NATION. 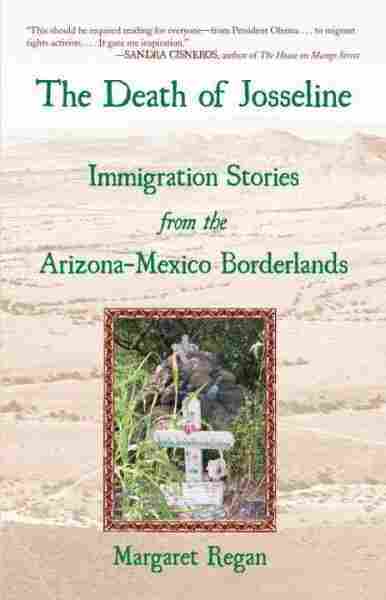 Margaret Regan's book is titled, "The Death of Josseline: Immigration Stories from the Arizona-Mexico Borderlands." And she joins us today from the studio at member station, KUAZ in Tucson. Nice to have you with us on the program. Ms. MARGARET REGAN (Author, "The Death of Josseline: Immigration Stories from the Arizona-Mexico Borderlands"): Nice to be here, Neal. Thanks. CONAN: And tell us, who was Josseline? Ms. REGAN: Josseline was a 14-year-old girl from El Salvador. Her mother was an illegal immigrant in the United States, working in Los Angeles, working at a low wage job, took her some years to save up money to send for Josseline and her other child, a 10-year-old boy. She paid a coyote probably several thousand dollars to bring them up, all the way from El Salvador, through Mexico, into Arizona and out to L.A. But troubled happened in Southern Arizona. After they'd crossed over the border, migrants have to walk through a very rough terrain called the Tumacacori wilderness. This was in January 2008. And surprisingly, to people outside of Arizona, it was cold, it was damp. CONAN: She told her brother, in fact, you say, go on. CONAN: Go on, find mama. Ms. REGAN: Right. This is what the brother told his mother later. I you can imagine the scene - I'm picturing the kid screaming, crying, holding on to his big sister, and she says, no, you keep going. You've got to get to mom. So that's what he did. They took him with him, left Josseline behind. Nobody alerted the authorities. In about three-days later, the younger brother got to L.A., said to his mother, we left Josseline some place in Arizona. So the mom had to, you know, do what she could, somehow contacted the consulate for El Salvador. And the alarm went out, but I suspect she was probably already dead by that time, weak as she was when she'd been left behind. CONAN: Hmm. Why of all the stories you've covered and of all the people who have suffered sadly the same fate, did you pick Josseline? Ms. REGAN: Well, I picked Josseline because - I mean, certainly it's an extremely tragic. This is a child trying to get to her mother. But it's also because I was able to find out more about her. She was one of 183 migrants who died in Southern Arizona that year, in 2008, just one of 183. And I bet if we looked at every one of those stories, we'd find some tragic dimensions too. Ms. REGAN: ...and the green shoes that the little boy was able to tell his family what she'd been wearing. Ms. REGAN: So it's only because I had more information about her that I was able to write about her to a greater extent than, you know, to think of all those other 182 that I didn't write about that year. CONAN: ...you could give us little snapshots of some of the places you write so vividly about in the book: Douglas, Arizona. Ms. REGAN: Oh, Douglas, Arizona is kind of a funny Old West town down there on the border, southeastern Arizona. I love the landscape down there. I know one writer said that it was spare in its charms. Ms. REGAN: It's the Chihuahuan Desert. It's a big flat plain with mountains on either side. We've got these long, low-lying mountains. They're blue, they're beige, they're orange, depending on the light, the time of day. It used to be a mining town. Most of southeastern Arizona was copper mining country. And the miners were shut down, say, 20 years ago and it's not much as happening in Douglas nowadays. Ms. REGAN: And - yeah. Ms. REGAN: It means dark water. Yeah. It's an amazing contrast when you're down here on the border in Arizona. On the American side, you have these American towns. You've got big parking lots. You have big-box stores. You walk over the border and you're obviously in a different country. There are densely packed stores, little panaderias, tiendas, people everywhere, street vendors, kids running around selling Chiclets, lots of cars, lots of noise, walls with writing on them, you know, people write these store signs paint in bright colors right on the walls. All the buildings come right up to the curb. It's quite different urban construction than we have here in the United States. CONAN: We're talking with Margaret Regan about her book, "The Death of Josseline." Call and tell us how - if you live near the border, how things have changed over the past 10 years, what you're seeing. 800-989-8255. Email: talk@npr.org. Sharon(ph) is on the line calling us from Tucson. CONAN: And that is a very long way from Guatemala. SHARON: Yeah. Imagine, these kid - we have unaccompanied minors who come up here and usually from desperate situations. And you know how teenagers are. They think they're - first of all, they think they're immortal. And second of all, they have great hope. And this kiddo came up walking, riding trains, being chased by people with just one other kid - and finally collapsed on the desert across from the little town of Patagonia, was picked up by some cowboys who took her to a ranch, and the people called some folks who worked for the sanctuary movement. And they picked her up, took her to Tucson to a clinic ,because she was very ill. And then she came to our home and we adopted her. But the things that - you know, I look at kids in middle school where my granddaughter is, and I think, my goodness, the courage that a 14-year-old girl would have to have to start that, like this young girl and didn't make it. SHARON: And it seems to me that we must have a more respectful, humane way of dealing with our neighbors so that this doesn't need to happen to anyone of any age. CONAN: Well, this is something that Margaret Regan writes a lot about in this book that - Margaret, I don't want to put words in your mouth, but I think you - fair to say, you described it as a moral failure of the United States. Ms. REGAN: Yeah, I would say that it is. When we have families being separated like this and children dying along the way, I think we have to look at changing something. I mean, every year, 200 people die here along the border. Whatever you think about immigration - legal or illegal - that's just completely unacceptable in the United States today. CONAN: I was just in Tucson a couple of weeks ago, and I think I saw in the paper there, that the total for this year, already at 60. Ms. REGAN: Yeah, that's right. That's just since October. And you know what, that number is running 30 percent higher than the number last year. And what's interesting to see is that the more we ram up our border enforcement, the more walls we put in, the more people die. A lot of people who don't live down here think, oh, we'll just put up a wall. That'll solve the problem. But every time you add another mile of wall, you drive somebody farther around the wall into the more dangerous countryside, and that's what we're finding. The bodies are being found, like Josseline's, in these more remote areas. Ms. REGAN: So actually, the rates of death are actually - you know, your risk of death if you cross is much higher than it was even 10 years ago. Somebody calculated that about 10 years ago, about three migrants per 100,000 were dying. Now, we're up to 51 per 100,000 dying just because they're traveling through such more dangerous country. SHARON: Thank you for writing this book. SHARON: This is to your guest. Thank you so. Ms. REGAN: Oh, thanks, Sharon. I just wanted to follow up on that point you were just making. You quote Doris Meissner, commissioner of the United States Immigration and Naturalization Service, as saying "we did believe that geography would be an ally. It was our sense that the number of people crossing the border through Arizona would go down to a trickle, understanding that it was so dangerous to go through these remote areas." Ms. REGAN: Yeah. It's very tragic to go back and read that, that was the mentality. And this is going way back to the Clinton administration. You know, there were so many immigrants pouring through San Diego and El Paso it became a political problem. So the thinking was, okay, seal up the borders in those big urban crossings and we'll have our border problem solved because the rest of the terrain down here is so dangerous, people won't come. Well, obviously, that's not true at all. People are desperate enough, they'll do whatever it takes to get over here because they're trying to save their lives. They're trying to save the lives of their children by being able to earn money to feed them. So what - the result of that, it was called Operation Gatekeeper when we put up those walls in those big cities. Arizona became the hot point for crossing. And we began getting hundreds and hundreds of thousands of people crossing here every year. It's interesting to look back at the death numbers from 1990s. I talked to Pima County medical examiner, Bruce Parks, here in Tucson. He's been - you know, keeping track of these numbers since about 1990. All through '90s, he'd get three, five, six migrants coming into his morgue every year. Starting in 1999, after those walls had gone in, he got 17, 17 bodies coming in, migrants along the border. That was a little bit of a spike. The following year, he had 65 bodies. The year after that, 75. By 2002, he had 146. And now, we're up to several hundred every single year. 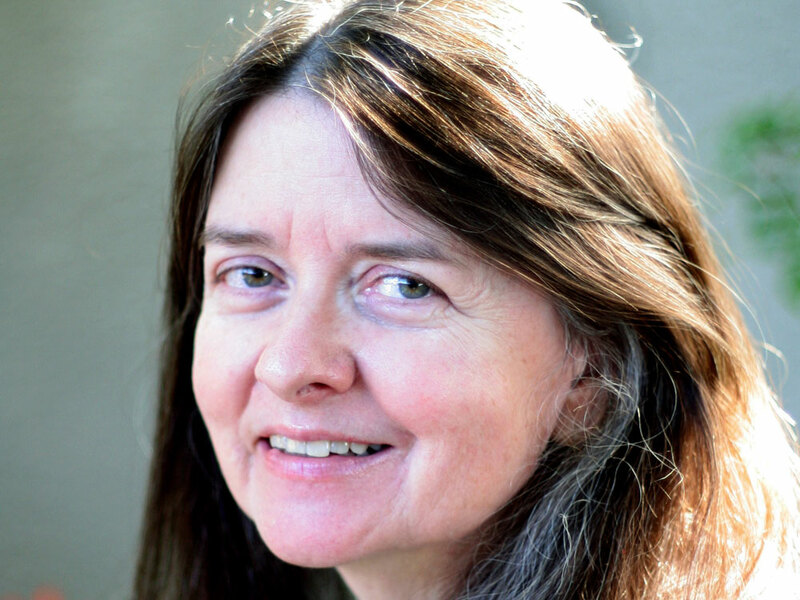 CONAN: Margaret Regan puts faces and stories to those statistics in her book "The Death of Josseline: Immigration Stories from the Arizona-Mexico Borderlands." You're listening to TALK OF THE NATION from NPR News. And let's talk with Tim(ph), Tim also calling from Tucson. TIM (Caller): Oh, my gosh, are you there? CONAN: Yes, we are. Go ahead, you're on the air. TIM: Great show and incredible subject, and Margaret Regan's a great writer. I just wanted to (unintelligible) that as these bedraggled, poor, desperate people will drag themselves up to your door. I live down in the Hereford area, south of Sierra Vista. It's in Cochise County. It's near the border. And bedraggled people would come up asking for bread and water, and then they would motion to a dozen others who would come down and get bread and water. And I know that there's a lot of anger down here in the border from these folks, but I also - there are a lot of people like myself who just have complete compassion for these people who are doing the border, things - you can't help but to have your heart ripped out when you see these poor, desperate people just trying to get better work. And that's my two cents' worth, Neal. CONAN: Okay, Tim. Thanks very much. There's an interesting conversation you have with a man who tried to go cross the border and didn't make it, with lying in a ditch. And there was a U.S. border agent - I think at that time from ICE -that was over him, and he said, the same blood flows in our veins, and he said, the man kicked me anyway. CONAN: That man, though, went on to form a cooperative of coffee growers and roasters and distributors that has become quite a success story in Mexico. Ms. REGAN: Right. Actually, that success story is one of the few optimistic points I was able to bring up in my book. It's a wonderful program. This man who had tried unsuccessfully to cross the border had been a coffee grower like so many others in Chiapas. And these people are farmers, they're from Chiapas. They're - they found that their livelihoods were pulled out from under them. They couldn't sell their coffee for enough money, which is why a lot of them are coming up here. So somebody got the idea, okay, if they could cut out the middleman, grow their coffee themselves, package it, roast it, market it, sell it to the customers in the United States, they'd be able to make a living wage and stay home. So this coffee cooperative, Cafe Justo, which means just coffee, it's running now in a town in Chiapas called Salvador Urbina. There are 200 families that belong to it. And they have a coffee roaster up in Agua Prieta, which is how I found out about them. They have all Mexican employees up there in Agua Prieta, a very small number, eight or 10 people. But these are all people making a decent wage, staying home. And they have found that about 70 people who used to work in the United States illegally, have gone back home to Salvador Urbina, now that they can work in their own coffee coop and make enough money to survive. CONAN: Salvador Urbina, the town in Chiapas, where this has started. Let's get another caller on the line. This is Jose, Jose with us from El Paso. JOSE (Caller): Hi. First of all, a great book. In El Paso, stories like Josseline's are daily. JOSE: Everybody here knows somebody who at least know someone who knows the hardship of immigration. And I always say that the only people who can really talk with authority of the problems of immigration, besides the actual immigrants, are those who live along the border, because we know the problems that illegal immigrants cause, but we also know the hardships that they go through. We're very conscious of that. CONAN: What have you noticed the most, Jose? JOSE: Well, the border used to be very fluid. I've - I'm 30 years old. I've been here most of my life. It used to be very fluid. People from Juarez would come across the border and go shopping. People from El Paso would go for drinks, partying across the border to Juarez. And this is before the drug war even started. And, you know, especially after 9/11, the border just got more rigid. It got more politicized. The border was brought to the national stage by both sides of the aisle. And, you know, in the last 10 years, just the border, you know, that river, the Rio Grande, which divides us, has just been more rigid. And we now kind of have a Berlin-style wall that divides us. CONAN: Well, you write about that, too, Margaret Regan, about how, in some places, it looks like - on the American side it looks like it's under a military occupation. Ms. REGAN: ...a lot. There are border patrol agents stopping them at will. They don't have to have a particular reason to stop people, they can. They stop American citizens all the time. It's very difficult. CONAN: Jose, thanks very much for the call. CONAN: And Margaret Regan, thanks very much for your time today. Ms. REGAN: Well, thanks for having me on, Neal, I appreciate it. CONAN: The book is "The Death of Josseline: Immigration Stories from the Arizona-Mexico Borderlands." You can read one of the stories from the book about a young Guatemalan man named Isabel(ph) Vasquez Vasquez at npr.org, click on TALK OF THE NATION. And she joined us today from KUAZ, our member station in Tucson. Tomorrow, the president gathers with Republicans, and a final push for health care. We'll be talking about that on TALK OF THE NATION from NPR News. I'm Neal Conan in Washington. Ismael Vasquez Vasquez sat on a chair in the Border Patrol headquarters in Douglas, squinting in the glare of the fluorescent lights. It was a summer evening, but the windowless room was freezing. Ismael trembled in the air-conditioning, holding his arms to his chest. It was a lot colder in here than it had been out in the desert a few hours earlier. That afternoon, the temperature in the broad valley had topped 100 degrees, and in the sweltering heat, his cousin, twenty-three-year-old Silverio Huinil Vail, had died in his arms. Ismael had spent a night and a day in the nearby Chihuahuan Desert, where mesquite thorns rip open the skin of migrants running from la migra, where rocks trip them up, and where the sun scorches the life right out of them. Now, inside, the icy office was all metal and concrete. Agents wandered casually by in their dark green pants and shirts, guns and radios strapped to their black belts. These guys were used to seeing undocumented migrants. Their station had been picking up six hundred every single day in Douglas and Naco during this summer season of 2000, and they had long since grown accustomed to their tragic tales. But it was all new to Ismael. He was a campesino, a farmworker, who had lived all his life high in the forested highlands of Guatemala. In his thirty-two years, he had never felt anything like the heat of the Arizona desert. His home was in the tiny Maya village of San Francisco La Union, seven thousand feet up in the Sierra Madre, a place of cool temperatures and abundant rainfall. His cousin Silverio was from the nearby pueblo of Santa Cruz Cajola, a Spanish-Maya name that translates as Holy Cross — Children of the Water. San Francisco and Santa Cruz were in coffee country, ten miles from the nearest city, Quetzaltenango, so remote that even Spanish was a foreign tongue. Like many migrants trying to enter the United States, Ismael and Silverio were indígenas, Indians. Their first language was K'iche' Maya. Ismael spoke quietly in Spanish, looking down dejectedly at his hands. He was cleaned up, dressed in a cap and polo shirt, but he was numb with grief over the loss of Silverio. He was the one who'd have to make the call to the family back home to tell them the younger man was dead. Then there was the matter of his own surrender earlier in the day to the Border Patrol. His arrest was more than a personal disaster. In San Francisco La Union, he had a wife and four children — ages one, three, five, and eight — and he had hoped to pull them up out of poverty with the big wages he'd send back from America. "I just wanted to get to the United States," he told me and photographer Hector Acuna. We were down in Douglas to report for the Tucson Weekly on the immigration crisis, and Ismael had agreed to talk to us, even though he was exhausted from the day's ordeal. At home, he and his family had a small plot of land, but it yielded only enough food for them to eat, nothing extra, he said. "There's just not enough money." No one from his village had ever made the trip to the United States that he could remember. He didn't want to go, either, but as a father with a passel of hungry kids, he didn't see that he had a choice. Anyway, he was used to hard times. When Ismael was eight years old, back in 1976, his country was ravaged by an earthquake. El terremoto was a natural disaster, no one's fault, but it was followed in the 1980s by a human-made disaster. The government had waged a bloody counterinsurgency campaign against its own people, leaving more than one hundred thousand dead or disappeared. By 2000, the year of Ismael's epic journey, there was no more war in Guatemala. But there was no money either. 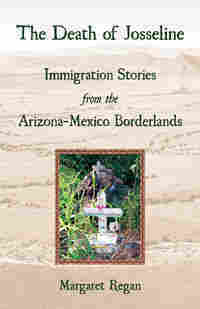 Author Margaret Regan has lived with her family in Tucson, 64 miles from the border with Mexico, since 1986. The cousins made their way out of the mountains slowly, on buses overstuffed with passengers and bundles and squawking chickens. Descending through narrow passes, they rode northwest into Mexico, through Chiapas and on into Oaxaca. Past Mexico City and central Mexico they traveled, and on into Chihuahua and finally Sonora, changing buses all along the way. It took them twenty-five days to go the 2,750 miles to the Arizona line. The two Guatemalans were never beaten up on the road, as migrants often are, but the Mexican police shook them down for money every chance they got. Once in Agua Prieta — "dark water" — the ragtag factory town across from Douglas, the cousins found themselves in a throng of migrants trying to cross la frontera. Ray Borane was the mayor of Douglas then (in 2009 he joined the Southwest Border Task Force as an adviser to Homeland Security secretary Janet Napolitano). In that busy summer of 2000, he estimated that on any given day, anywhere from two thousand to three thousand would-be crossers congregated in his town's Mexican sister city. Like the rest, Ismael and Silverio stayed at a flea-bitten flophouse, one of the grandly named casas de huespedes that rented out floor space or a dirty mattress for the night. They connected with a coyote in the central plaza in front of Iglesia Sagrada Corazon, a white mission-style church named for the Sacred Heart. The smuggler's underling, a pollero — "chicken wrangler" — would guide them over the border fence and then through the Arizona desert. A van would be waiting to drive them deep into America. If all went well — a big if — and if their coyote fulfilled his end of the bargain — another big if — the Guatemalan pair could walk to a road and the ride within about five miles. Ismael had no idea of their final destination. "Maybe Los Angeles," he said vaguely. Five miles sounded like a cinch to young men without cars who had walked miles over the mountains all their lives. They started out at about 7 p.m. on Wednesday, July 19, 2000, in a group of about twenty-five people. Their first hurdle was the border wall in the center of Douglas; its vertical iron bars were fourteen feet high. Spaced a couple of inches apart, the bars allowed breezes to pass through and afforded residents on International Avenue a crosshatched view of Mexico. Painted a pale peach, the fence was meant, halfheartedly, to be attractive. Borane said the government even called it the "aesthetic fence." But for the homeowners sitting on their porches and in their gardens along International Avenue, the wall looked like prison bars. The fence wasn't the only military hardware to be negotiated by Ismael, Silverio, and company. High-intensity lights, cameras, and infrared sensors cast Uncle Sam's eye on both sides of the border. Miles out into the desert, mobile surveillance towers were equipped with more of the same. And every few hundred yards along the fence, a Border Patrol agent sat in a big white SUV, binoculars trained on the line. No matter. The migrants had already traveled too far, and invested too much, to be deterred. They managed to sneak through the fence undetected and then began the nighttime hike. The land around Douglas is flat, making it attractive to crossers, but it's hazardous. If walkers don't trip on the rocks, they can crash into tree branches or brush their hands against needle-sharp cacti. Ismael's group did get a piece of good luck in the weather. There was a light cloud cover in the evening and even a sprinkling of rain. Yet shortly after beginning their trek en el otro lado, on the other side, Silverio fell ill.
Excerpted from The Death of Josseline: Immigration Stories from the Arizona-Mexico Borderlands by Margaret Regan. Copyright © 2010. Excerpted with permission by Beacon Press.